Voor 1994 het van die gebiede selfregerings gehad, op pad na onafhanklikheid. ‘n Internasionale reg wat elke volk mag geniet. Ons as konserwatiewe Afrikaners en Boere, vorm nie deel van enige van die kulture nie, maar het ook menseregte wat geskend word. Meeste van die ou tradisionele tuislande is na 1994 omskep in Trustgebiede of CPA’s waar miljoene steeds woon, werk en hul kultuurfeeste hou. The word San comes from the Khoekhoe language. It is not clear what it means; probably it refers to people without cattle or people who forage for their food. It is generally applied to the hunting and gathering peoples of southern Africa who are descended from the original humans in this region of Africa. The term San came into use along with the word Khoesan in the late 1920s and 1930s. The terms were coined by Leonhard Schulze and promoted in the English speaking world by Isaac Schapera. Previously San people had been referred to by different names: Soaqua (also a Khoe word), Bosjesmanne, Bushmen, Basarwa, Batwa, Abathwa, Baroa and so forth. San people had names for themselves, such as |Xam-ka-!e (the Karoo San), N||n‡e (southern Kalahari San), ||Xegwi (North Drakensberg San), etc. In the N|u language, spoken by the N||n‡e people, the word for San hunter-gatherers is Sasi. This word may have had the same origin as the word San, but it also refers to the sacred eland antelope. The Khoekhoe identifies various peoples who speak languages from the western branch of the Khoe language family. Typically Khoekhoen (plural form) were cattle and sheep herders, at least for the last 2 500 years. Some San peoples spoke the same language as the Khoekhoen, these include many ‡Khomani and other historical San groups and the Hai||om of the Etosha region. The term Khoe-San was coined by Schulze to capture the group of peoples in the region all of whom spoke aboriginal languages with clicks in them. Griqua People also known as Griekwa, Chariqua, Korana or Koranna can be found in South Africa and Namibia, they are related to the Khoikhoi People , Basters and Oorlam People. According to the Oral history Griqua occupied the central part of Present day South Africa in 1848, It is believed they were guaranteed some degree of astronomy by treaty with the British Governor in South Africa, under the leadership of Adam Kok III, It is claimed they sided with the British in a war against the Boers, Adam Kokl llI was a Chief who led his people from their home in the Orange free State in Present day South Africa and they founded the Griqualand on the east coast, he was described as an Independent ally of the British but colonial pressures ultimately led to the annexation of Griqualand East by the Cape Colony, It is said Adam Kok lll succeeded to rule the Griqua nation, Adam Kok lll was said to be friendly to the British administration in Cape Colony and he was recognized of his status of dominion in 1848……. In Bergsig, the coloured community, which makes up 79% of the whole town’s population, there are a few tar roads. Most Nama people who have wrongfully been labelled as ‘coloured’ during Apartheid census, live in four room match boxes with outside toilets. I had never in real life seen a swimming pool in Springbok. My father had not seen a black person until he was fourteen years old and went to Cape Town for his grandmother’s funeral. My father always says things were much better under Apartheid. 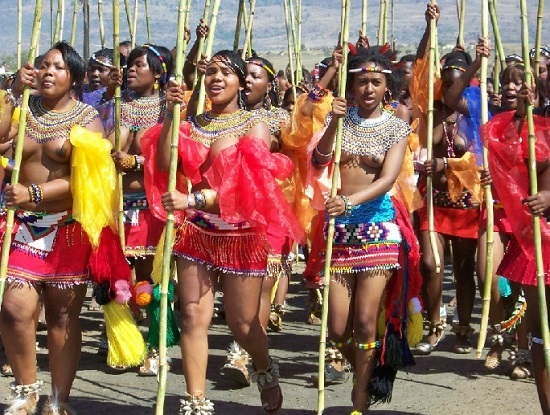 This tribe has direct family links to Shaka, king of the Zulus, but has been living in this area since the first half of the eighteenth century. In what is essentially an ancestral home to families of this tribe, the inhabitants have created a place that is a source of great pride to their people, and provides visitors with the opportunity to learn about their culture. Part of the experience is a traditional meal with a family. The menu includes honeyglazed sweet potatoes, freshly baked maizebread, beef potroast, wild spinach with ground peanuts and other traditional dishes. The village market is a vibrant place, alive with the sounds of argaining and people plying their trade. The market concentrates on local craft and guests may browse past and talk to the artists themselves. The shopping experience takes on extra value when the artist explains the symbolism attached to each article, and you carry a piece of Africa home with you, lovingly crafted with skilled hands. After the visit to the village, the tour passes through the mystical kraal of the sangoma and visitors learn about traditional medicines and healing practices. As the sun sets over the mountains, guests are led through the bush towards the great Kraal of Chief Soshangana. As they approach, the beating of drums grows louder and warriors usher them into a dramatic flame-lit village. 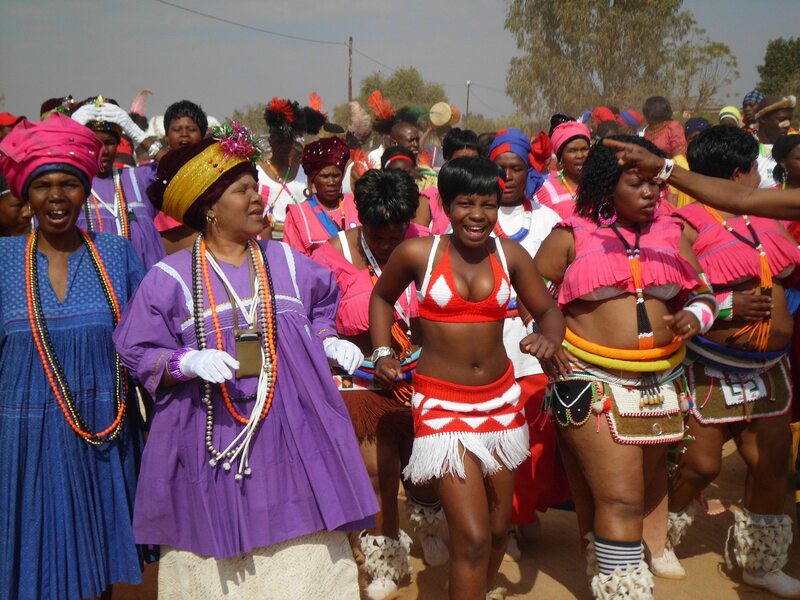 Here, choirs and dancers tell the story of the Shangaan people through music and dance. 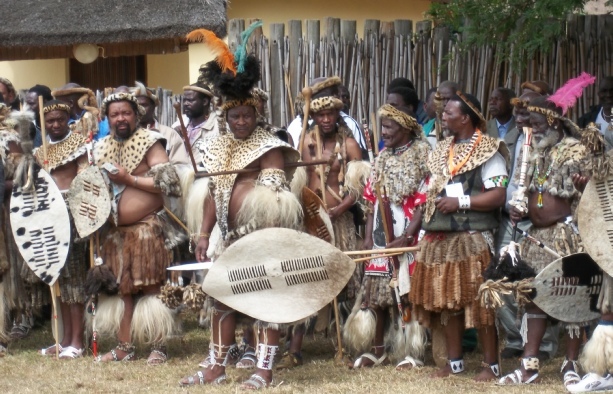 The chief’s wives serve a traditional feast, including crocodile strips in a spicy peanut sauce, mopane worms, baked butternut, fire-grilled corn wheels and an array of other Shangaan dishes.